Obsidian is a strongly protective stone,it forms a shield against negativity. 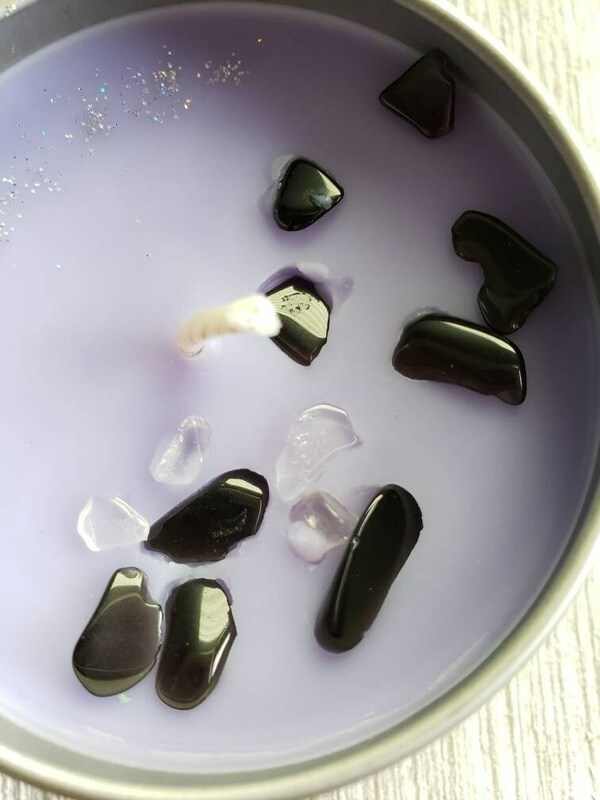 The quartz will aid in the healing and protective properties of the black obsidian. 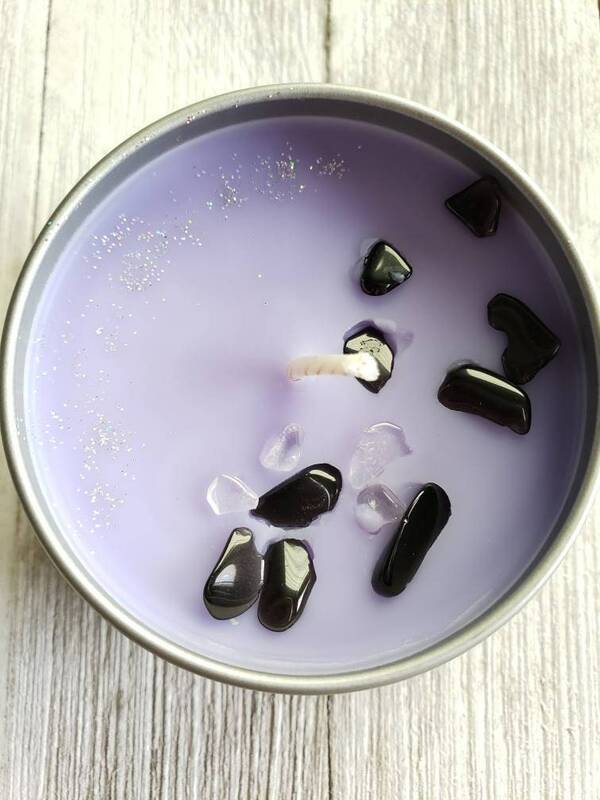 This is a 4 oz candle made with 100% soy wax, fragrance oil, eco glitter and hand picked gemstones . Make sure to trim wick to 1/4 inch before burning. Follow all safety precautions when using your candle. 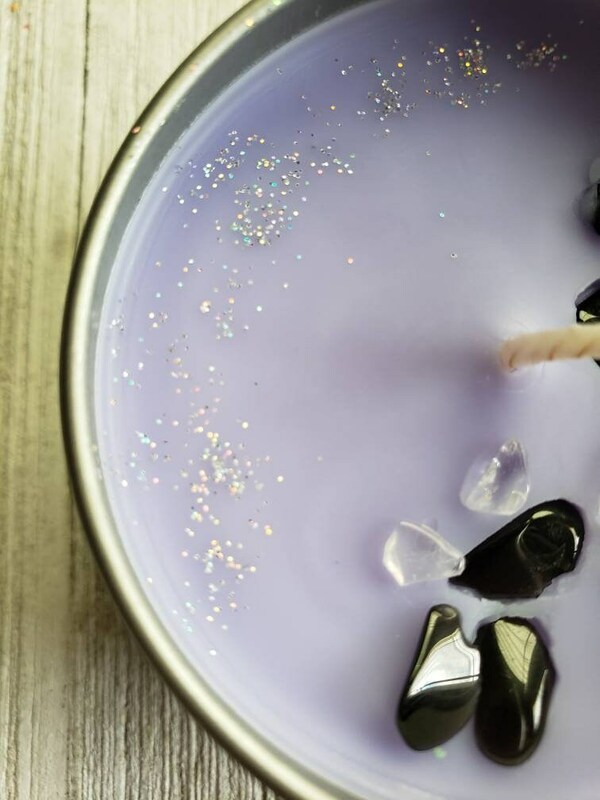 There will be a safety warning sticker on the bottom of your candle to remind you of safety tips. Make sure you have at least an hour to burn your candle each time you use it. Soy wax tends to form a "memory". 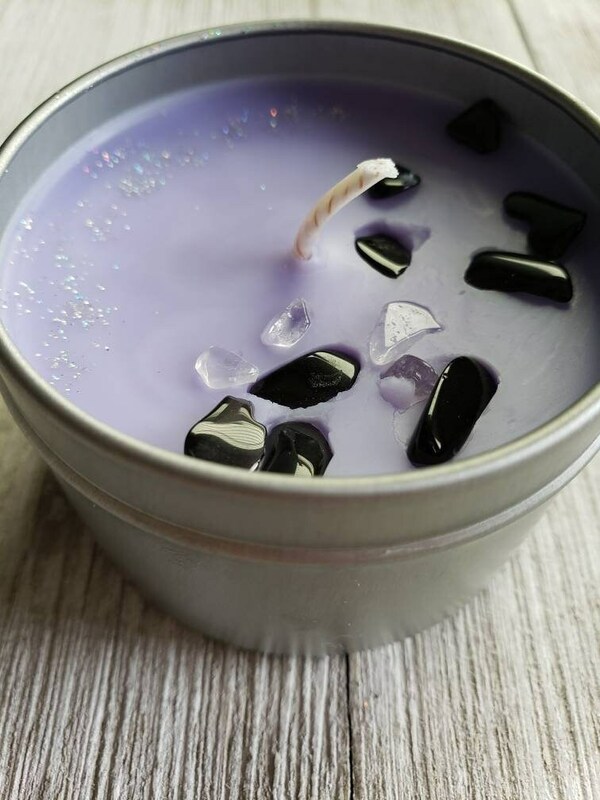 You must allow the candle to form a full melt pool around the edge of the container before blowing out or the wax will tunnel down and won't melt any further . The 4 oz tin is good for a small room or space. If you have any questions please feel free to message me ! I camt get enough of Paige's candles!! !